The Rimmel London Insta Collection* landed on my doorstep a couple of weeks ago, however I have waited until the initial rush of blog posts have dropped off in order to share with you my thoughts on the collection. In my opinion it is a rather large collection for a high-street brand with quite a few different products to offer; some of the products are hits whilst others I have found are somewhat misses. The products are marketed towards helping to create the perfect Instagram selfie. I have personally looked straight past that as I have real issues with Instagram at the moment, it is like banging your head against a brick wall when it comes to blog promotion and growth therefore I find it hard to encourage myself to use it, let alone anybody else. That being said, the Instagram factor aside, are the products any good? Do they do what they claim to? The collection consists of three Insta Conceal and Contour Palettes* in the shades light, medium and dark, the same also applies for the Insta Duo Contour Sticks*. One of more intriguing products is the Insta Conceal and Correct Palette* which has three creamy shades which cover blemishes, neutralises dark circles and dull skin. 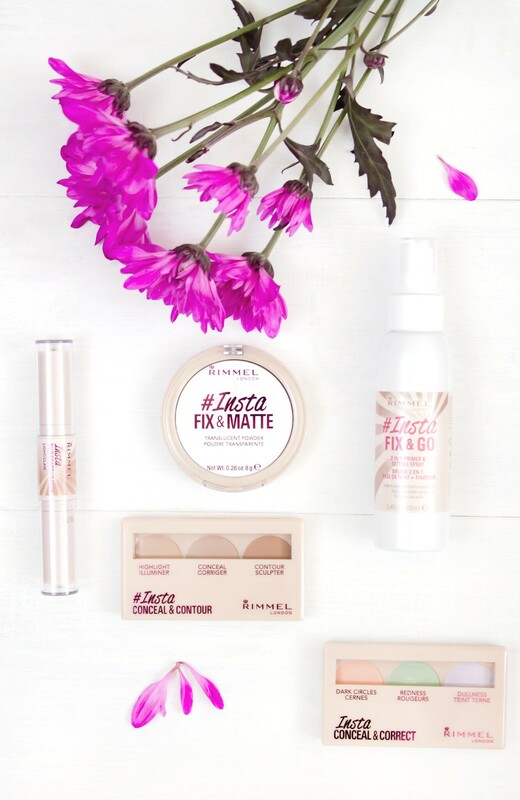 There is also the Insta Fix and Go Setting Spray*, which incidentally is the first setting spray I have ever tried as well as the Insta Fix and Matte* setting powder. The Rimmel London Insta Conceal and Contour Palette* as mentioned previously comes in three different shades, light, medium and dark. My skin tone is quite fair therefore I have only tried the light palette, however I have photographed the other two for review purposes only. 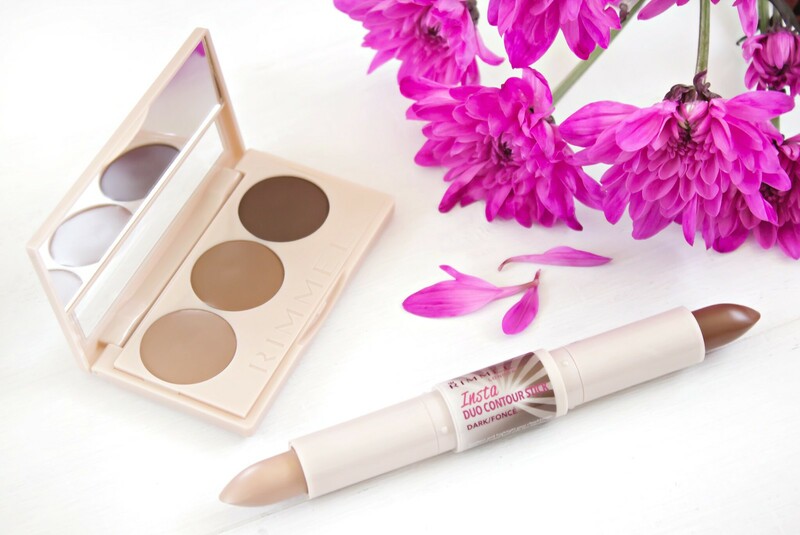 There are three cream products inside each palette, highlight, conceal and contour. You can see how the shades differ for each palette depending on the shade range. The highlight product for me in terms of texture is lovely, it is really creamy and applies relatively well to the skin; in fact, this applies to all three cream products. However, I personally like my highlight to have an element of shimmer to some degree whereas this option is matte. Due to this I can’t say that I will actively seek to use this as a traditional highlight and I really do not have the time to go full Kim K when it comes to highlighting and contouring my face. In all honesty, I will no doubt just use this as some form of concealer as it works well enough for that. Speaking of concealer, the concealer offering within the light palette is incredibly similar to the highlight therefore I feel a little repetitive in my comments. 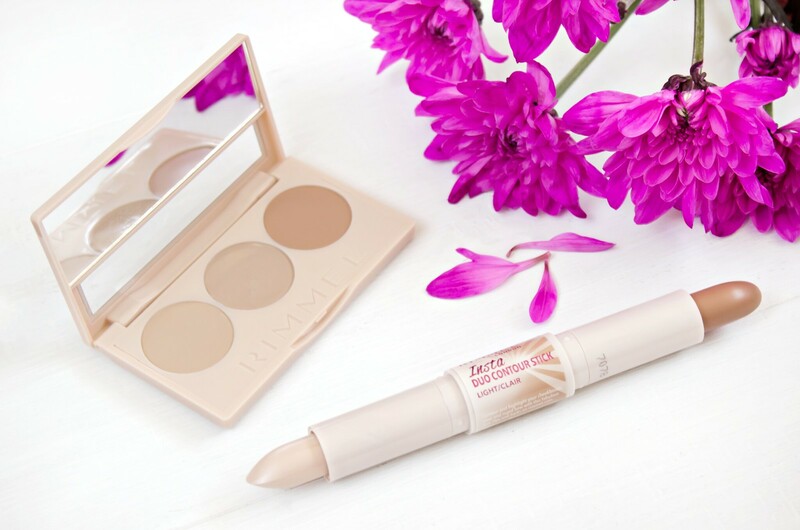 In my opinion this does work quite nicely as a concealer, although I do prefer other high street options which are incidentally also cheaper. The only thing I would say is to ensure that you use a nice hydrating eye cream under the eye area beforehand as this could look a bit cakey if your skin is dry. 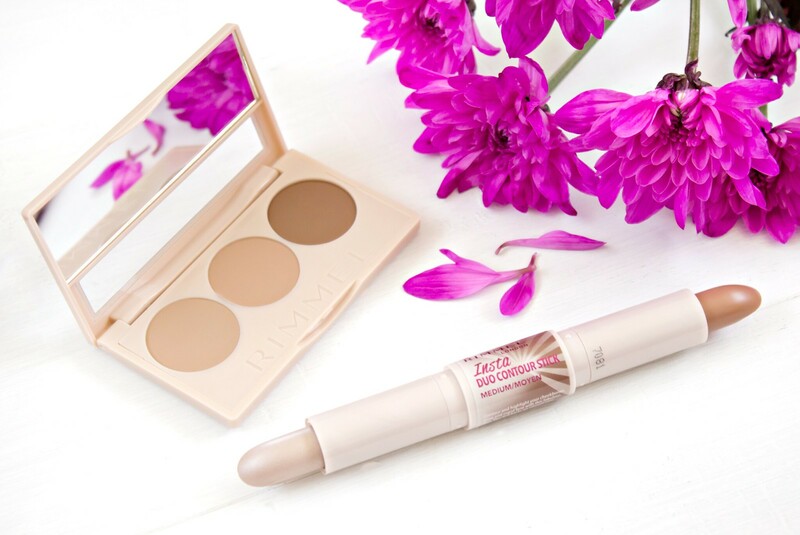 Once again, I think it has been difficult for a high street brand to really conquer the world of contour and the shades that are on offer at an affordable price tag. The sculpt shade here is for me too orange and would definitely learn more towards a bronzer product than a contour. For a contour product to work successfully it really does need to have an ashy tone to it in order to create the shadow affect. I have paired up each shade with the corresponding palette so you can see what the shades light, medium and dark look like in respect of those. Now that I have being trying these out for a few weeks I can honestly say that I am on the fence with these products; I feel as though they could be great but that they have not quite hit the nail on the head. In terms of packaging I do like this idea, the stick application allows more precision, however you must take heed and blend well as you will be left with a very obvious line if you do not. The one good thing I would say is that the highlight in the light duo stick does have a shimmer to it which I think is a considerable improvement as opposed to the palette. This palette is for me my first forage into colour correction. It is just something which I have never really reached for previously and still today, on most occasions this remains to be the case. Of a morning, I stick to my same routine as I am normally nine times out of ten in a rush to leave for work. That being said, it has been interesting to see how the colour correcting cream products have worked. 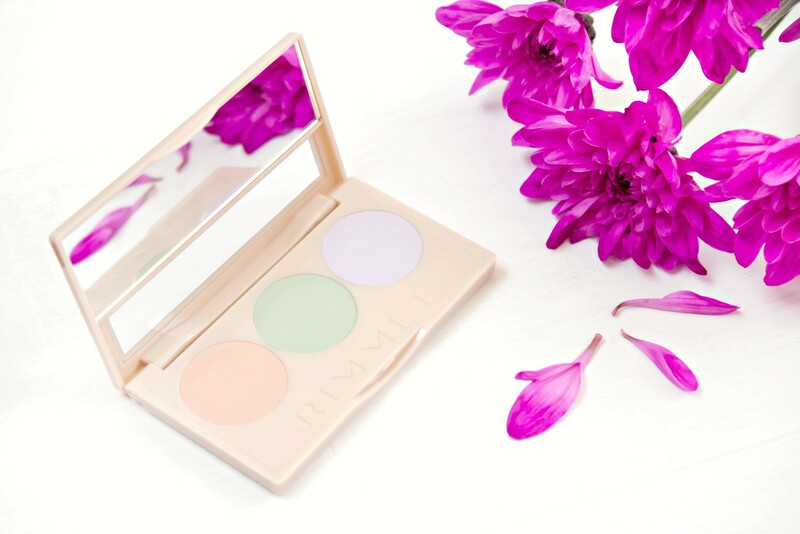 There are three shades within the palette, these shades consist of a salmon tone which aims to hide dark circles, a green tone which combats redness and a lilac tone which tackles dullness. Each shade like the former palette is incredibly pigmented and creamy, a little does go quite a long way which is good as there does not seem to be a vast amount of product within each palette. Dark circles are often one of my main concerns and I can happily report that this does the job pretty well. I like to use this on top of my eye cream and then following up with a concealer. It adds that extra bit of coverage and helps to neutralise the blue tones that you can get when suffering from dark circles. If I am honest I rarely suffer with redness so I haven’t really been able to test the green shade out properly at all, I have high hopes for it and will report back once I have been able to test this out properly. In respect of dullness, I find this hard to really spot as more often than not I think my whole face looks a bit dull, however I am not about to start lathering lilac cream products across my face in abundance. Out of all three shades I find the lilac one the hardest to use as I don’t really know what I am looking for. 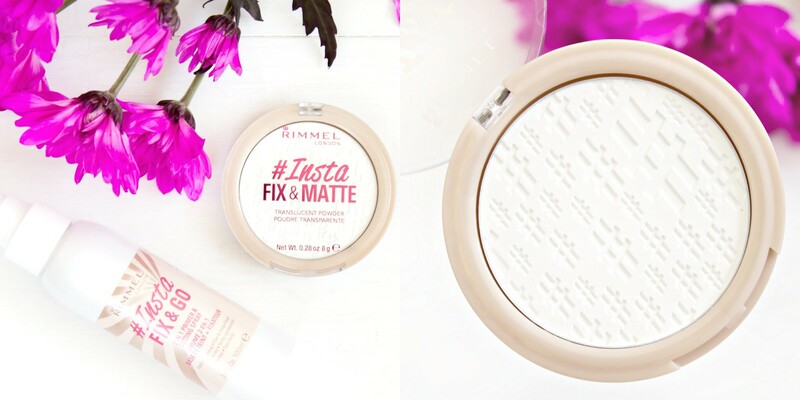 Having been once a huge advocate of the Rimmel Stay Matte Powder I was pretty excited to see what this was like. In a nut shell, I love it. It is for me the stand out product of the whole collection, so much so that I would happily purchase this for myself come the time. This is a translucent powder which is fine and un-obstructive on the skin. It works really well for me on top of my make up, helping to keep shine at bay and my make up in place throughout the day. It will be coming away with me on my holiday next week that is for sure. The Setting spray was the first product of this kind which I have tried and in all honesty, I have mixed thoughts having now used it. I first and foremost love the idea of a make up setting spray and would happily road test more, having said that, I couldn’t help but feel a bit daft spraying a liquid, albeit a very fine mist onto my fresh make up. Whilst there were no disasters to follow, I can’t say that I noticed my make up lasting any better throughout the day. Overall I am still very much on the fence with this product, it requires further testing on my part and I will report back with my thoughts in the future. Overall the Rimmel London Insta Collection has been a bit of a mixed bag for me, I don’t dislike any of it but the majority of the collection in my humble opinion needs tweaks. That being said, the powder is fantastic, although having used Rimmel’s powders for a good few years previously, I expected nothing less.